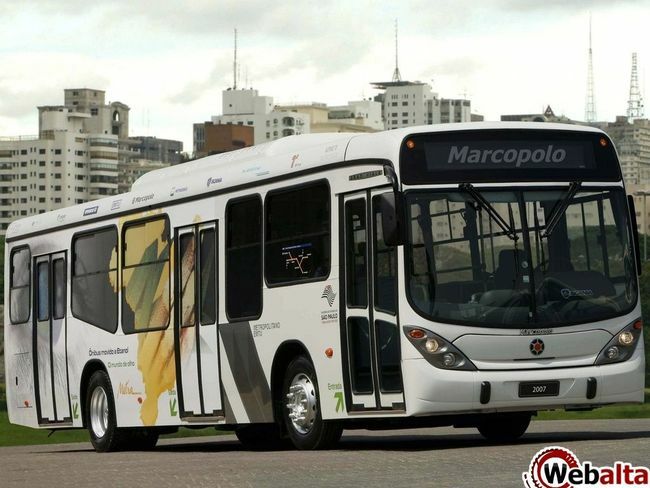 In September 2011, the General Director of JSC "KAMAZ" Sergey Kogoghin and CEO of the Brazilian bus group Marcopolo SA José Rubens de la Rosa, as well as the general director of "Polo Auto Rus" Yuri Eduardo Cayo signed an agreement to establish a joint venture. 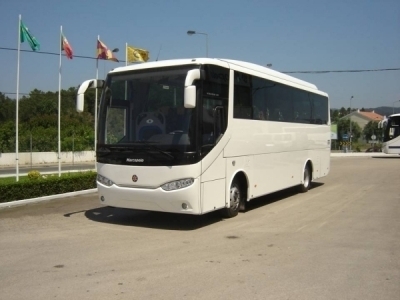 It will be located in the territory of a subsidiary of OJSC "KAMAZ" — JSC "NefAZ" Neftekamsk (Republic of Bashkortostan) and in 2016 for prosperous the designed capacity will be able to collect up to 3 thousand buses on KAMAZ chassis that meet modern requirements for the carriage of passengers in Russian Federation and the CIS countries. 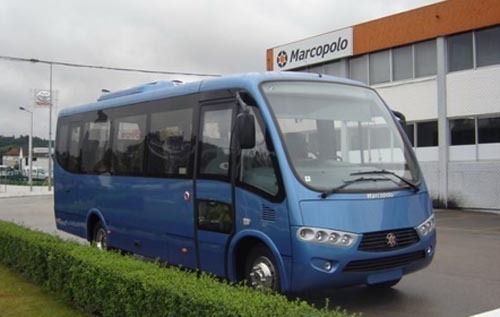 Concern Marcopolo SA, based in Brazil in 1949, is the country’s largest producer of buses of all classes, designed mainly for the markets of South America, Asia and Africa. 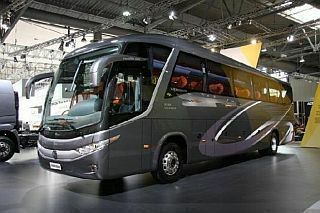 In the production program group 25 different basic models of buses, minibuses from many-to long-distance airliners. Group operating assembly plants in Mexico, Argentina, Colombia, South Africa and Portugal. With the first-born of the new joint venture lineup COMTRANS’2011 exhibition visitors were able to meet at the booth of "KAMAZ". The machine is a developing body of Marcopolo SA, mounted on the frame chassis models KAMAZ-3297, and refers to a small class. Shown urban variant with a total capacity of 50 passengers, with 23 of them can ride sitting down. The bus at curb weight 6000 kg gross weight is limited to his 9500 kg. Machine size: 7580? 2370? 2920 mm, wheelbase — 3950 mm. Wagon-type body frame is welded from rectangular tube, lined with steel sheet. Front and rear mounted fiberglass panels. The side and rear windows pasted. In the back of heaters installed 7 (6 for passengers and one for the driver). KAMAZ-3297 is equipped with a 4-cylinder diesel engine Cummins 4 ISBe 4 185B (Euro 4) producing 185 hp at 2300 rev / min, interlocked with a 6-speed manual transmission ZF 6S 710BO. Hypoid rear axle. Suspension of front axle beams on two leaf springs, as elastic elements rear axle used two gas strut. Power steering system includes the production of integral type RRT of Serbia. Workers disc brakes on all wheels, ABS has, traction control, engine exhaust brake with the flap in the exhaust system. Fuel tank capacity 125 liters. Tyre size 235/75 R17.5.